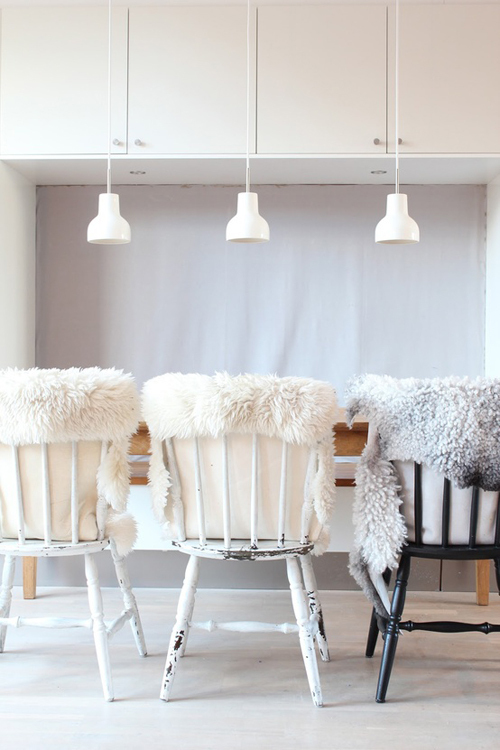 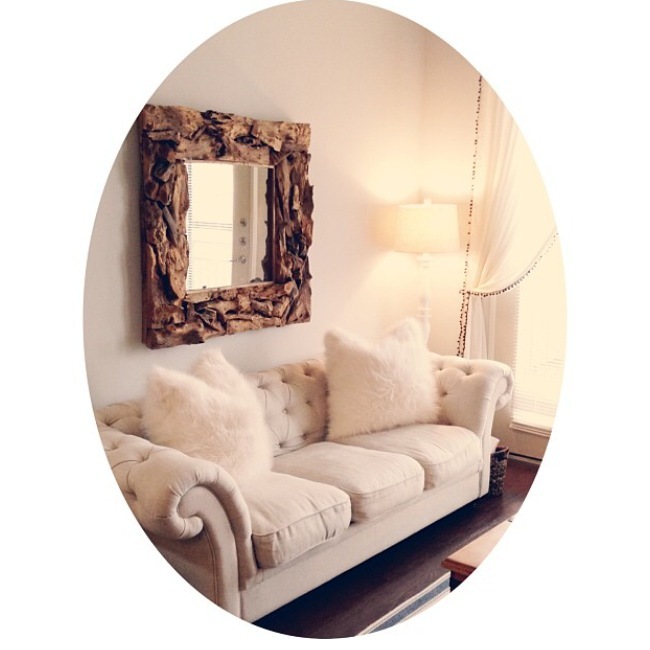 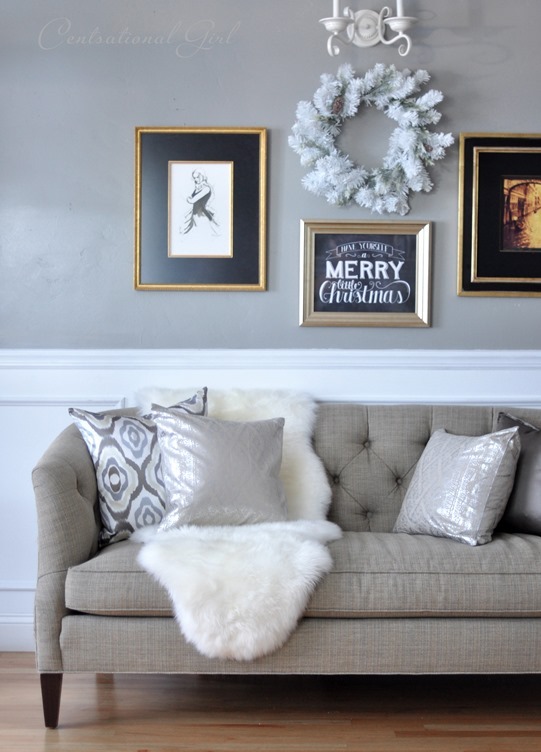 Today, I want to talk about one of my absolute favorite things to decorate with…sheepskin! 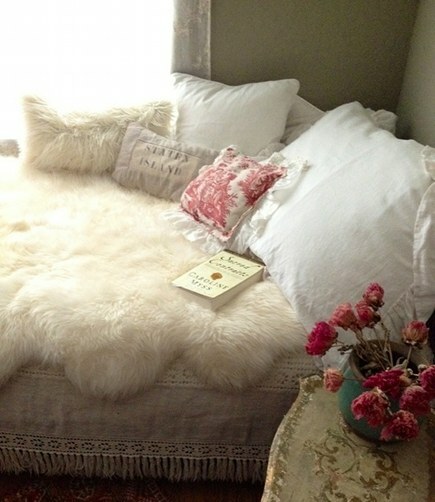 It’s soft, luxurious, pretty, and can be used in so many different ways. 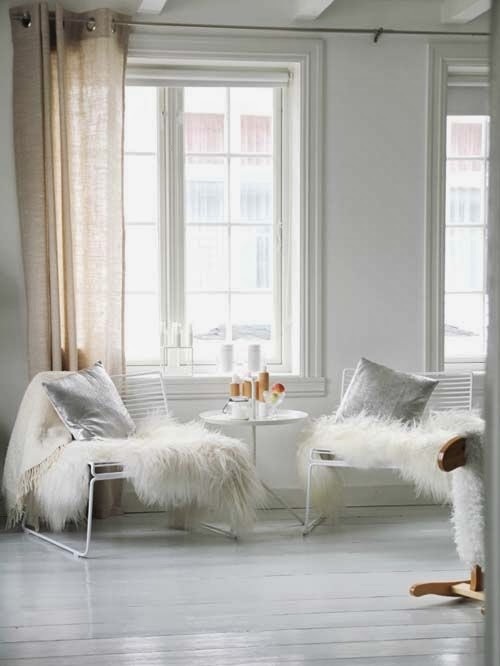 I think a room with sheepskin instantly has a more luxurious feel and it doesn’t have to be real sheepskin. 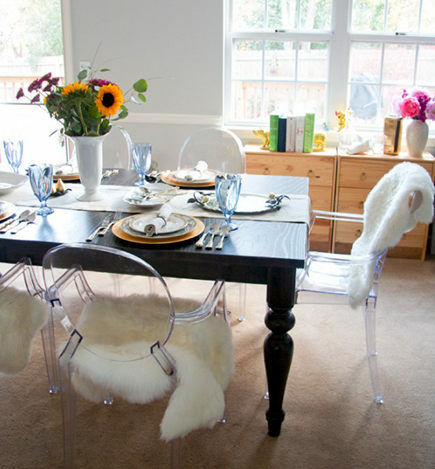 Ikea sells faux sheepskin rugs and real sheepskin rugs for only $10 and $30. 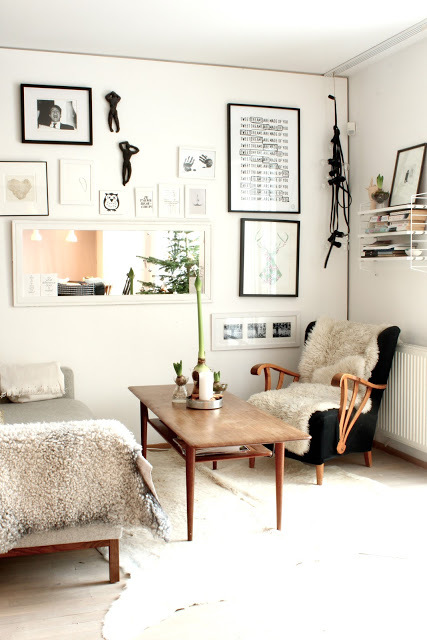 Here are two places in my home where I’ve used sheepskin. 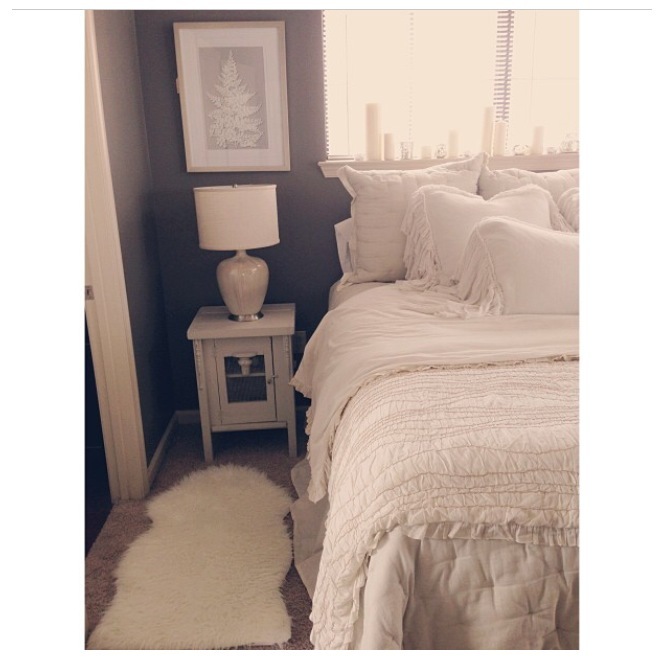 My bedroom!